Hot on the heels of yesterday’s exclusive email response from Eddy Cue about the launch of iTunes Match in Canada, it appears the Apple executive has received a promotion. 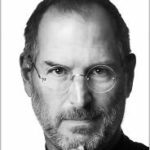 Apple’s executive bio page has been updated to reflect the change. As noted above, Cue’s new role will encompass not only the iTunes Store, but the App Store, iBookstore, and also the iAd division. 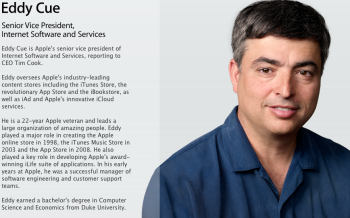 Given the success Eddy Cue had with iTunes, we can expect great things to come.